Private Bars and Social Clubs in Dublin | Come Here To Me! « Dipping into the Magill archives. There a number of private bars and social clubs in Dublin that cater for different people depending on their profession, nationality or politics. Here is an incomplete list. Please leave a comment if you have any other suggestions or memories. The Members Bar in Leinster House is open only to TDs and Senators. It keeps on serving as long as the Dail is sitting, which occasionally could be as late as 4 or 5 in the morning. The two Dáil bars (members and visitors) save more than €1,000 annually in duty payments because they are exempt from holding a pub licence under ‘parliamentary privilege’. The RTÉ Sports & Social Club in Donnybrook has a bar and restaurant plus a function room, gym, squash courts and a sauna. As of 2013, the club had around 800 and 900 members, made up of current staff and former employees. The Garda Siochana Boat Club (established 1954) in Islandbridge has a function room with bar. From 1964 to 2014, the Garda Club on Harrington Street in Portobello boasted two ballrooms and a members bar. Garda Club, Harrington Street. Credit – Irish Times (2014). regularly packed on Mondays and Thursdays during the peak years of the 1970s and 1980s. At that time most of the unmarried members of the force lived in garda stations such as Harcourt Terrace and Pearse Street. The balance of the support for the club came from what was known as “flatland” – inner city flats rented by teachers, civil servants and firemen “up from the country”. The club has been in decline since the 1990s, partly because a great many of the young gardaí could not afford to buy houses in the city, opting instead to live and socialise in outlying towns such as Mullingar, Drogheda, Dundalk and Naas. Housed in two beautifully restored Georgian buildings (36 & 37) on Parnell Square, Club na Múinteoirí (The Teachers’ Club) has a lovely old-fashioned bar upstairs and a large function room in the basement. It was opened by the Irish National Teachers’ Organisation in 1923. 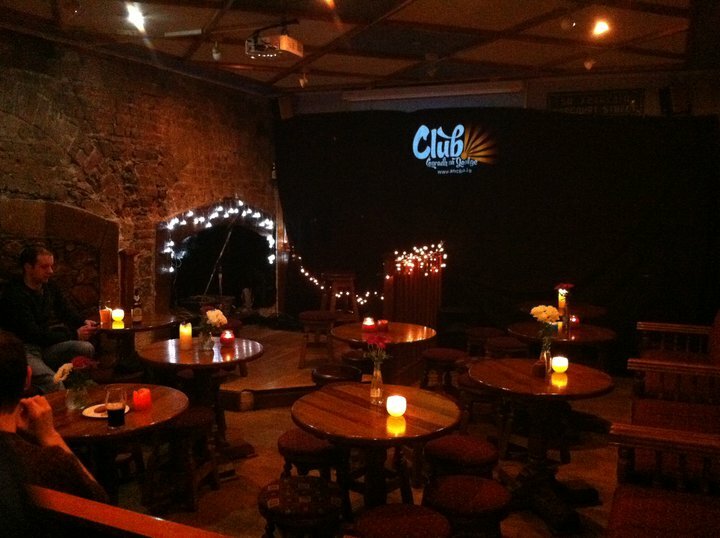 The renowned Góilín Traditional Singer’s Club meets there every Friday evening. The Millmount House in Drumcondra was once home to the Prison Officers Association of Dublin. Prison Officers from Mountjoy are known to drink in the snug in The Hut in Phibsboro. On the first floor, block A of the Newman building (Arts Block) in UCD, there is a small private bar called the UCD Common Room Club which is open to UCD staff and their guests. For those working in Dublin Airport and their families, the Airport Leisure Social Athletic Association (ALSAA) in Toberbunny has a bar, gym and a large sports complex. 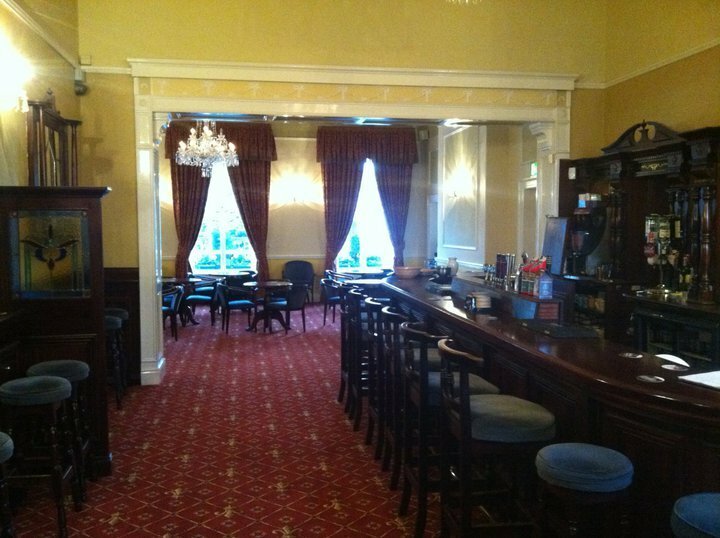 There is a bar and lounge on the first floor of the Dublin Postal Sports & Social Club in Tallaght. A balcony offers panoramic views of the Dublin Mountains. Full Membership of the social club is open to An Post and subsidiary company employees. MacTurcaills on Townsend Street (now closed) , a stone’s throw away from Tara Street Fire Station, was once very popular with firefighters and their families. The Dublin Fire Brigade Sports & Social Club took over the famed Ierne Ballroom on Parnell Street in 1994 and ran a members bar, a snooker room, the main ballroom and a smaller lounge. It closed down some years ago. 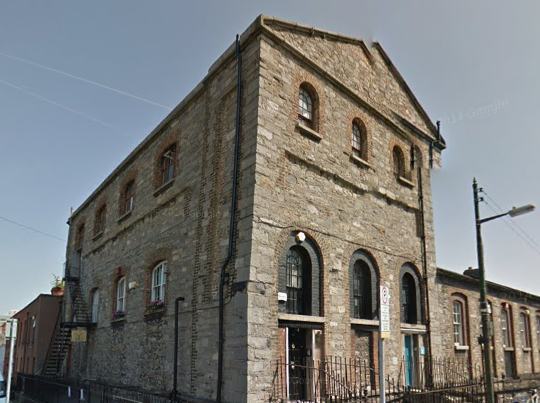 The City of Dublin Working Men’s Club on Little Strand Street off Capel Street has been based there since 2003. The club’s previous home for 115 years was on Wellington Quay. In 1891, it boasted of having “300 members generally on its books (and) a large lecture and concert hall, library, and reading-room, as well as a comfortable bar and billiard-room.”. City of Dublin Working Men’s Club, Wellington Quay (1989). Credit – Pat Liddy (Irish Times). 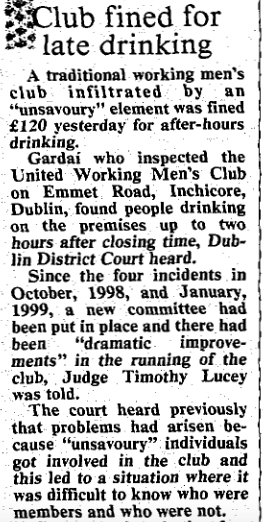 Article by Pat Liddy, Irish Times, 05 Apr 1989. This building was sold to Brushfield Ltd (a trading name for the Clarence Hotel, which lists Bono, the Edge and businessman Harry Crosbie as directors) who opened a popular live music venue called The Workman’s Club in 2010. City of Dublin Working Men’s Club, Little Strand Street from Google Maps. Irish Times, 13 Jan 2000. While around the corner, the Inchicore Sports and Social Club overlooks Library Square. Both clubs were set up to serve the large workforce of the the nearby Inchicore Railway Works, the headquarters for mechanical engineering and rolling stock maintenance for Iarnród Éireann which remains the largest single industrial complex in Ireland. The Railwaymen‟s Institute continued to serve the railway workers and their families throughout the years of the GS&WR, and laterally Córus Iompair Éireann (CIE) established in 1945, with membership open to all employees. The CIE Social Club closed in 1987 and was reopened in 1991 by a group of ex. members under a 20 year lease from CIE expiring in 2014. There used to be similar workingmen’s clubs on James Street and York Street but they are long gone. Club Italiano is a voluntary, non-profit organisation which has been organising social, cultural and recreational activities for Italians living in Ireland for forty-five years. Their Social Club in Tibradden Lane, Rathfarnham has been open since 1983 and has a bar/function room. As far as I know the Turkish Social Club on North Lotts does not have a bar but is where members of the Turkish community come to socialise, play pool and watch TV. The basement Club Conradh na Gaeilge on a Georgian building Harcourt Street is an Irish language speaking pub and home to regular concerts, singalongs and sean nós nights. It is open from 8pm every night. There’s a great sense of camaraderie, as everyone is there with a common purpose (to speak Irish and get ossified), and the drink is way cheaper than every where else in town, and they sell bottled stout! If you’re a tourist, you shouldn’t leave Ireland without drinking bottled stout. Guinness as we know it (creamy and cold) has only been around for about fifty years, whereas bottled stout (more viscous, sharper and served at room temperature) is nearly exactly what Guinness would have been like in its original incarnation (porter). You’ll get served a lot quicker at the bar if you can order in Irish, as one barman in particular tends to ignore those pleading for a drink in English, regardless of how long they’ve been there, until all of the Gaeilgeorí have been served, so repeat after me: Buidéal Guinness, más é do thoil é. Good. 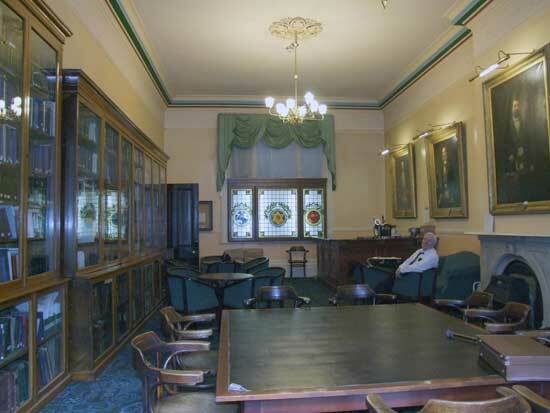 The decorative Freemasons Hall on Molesworth Street has a small private bar in their library. It is known as the Masonic Club and has a couple of drinks on tap and about four tables with chairs. The Cois Life Bar upstairs in Liberty Hall boasts of gorgeous panoramic views of the city. I think there is also a small bar as part of the function room in the UNITE offices on Middle Abbey Street and possibly in O’Lehane House (Mandate) on Cavendish Row. 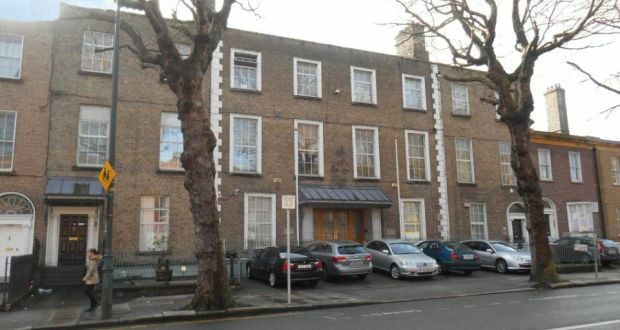 The Dublin Conservative Club at 20 Camden Row, Dublin 8 does not have a website or any social media accounts. You’d certainly pass it without ever knowing what it was or its significance. Dublin Conservative Club, Camden Row from Google Maps. The clubs origins, as far as I can tell, lay in the City and County of Dublin Conservative Workingmen’s Club (CWC) who were founded in 1883 to cater for the social needs of working-class Protestants in the city. From the 1880s to the 1960s, they owned substantial Georgian house at 38 York Street, off St. Stephen’s Green where the modern extension to the Royal College of Surgeons now stands. In circa 1962, they moved to their current premises at 20 Camden Row. Constructed by architect Charles Astley Owen in 1901, it was originally the ‘Home of Rest for Protestant Dying’. I’ve been to the large function room on the top floor for a Northern Soul gig and a New Years Party before. It was a unique experience, climbing up the stairs to reach this fabulous space with wooden floors and nearly pitchback room with shadows of people dancing the night way. While the music was blaring, the thick walls meant that no one could hear the party from the street downstairs. The downstairs members bar is apparently a beautiful room. It has played host to events by the Dublin Loyal Rangers Supporters Club and the local Dublin & Wicklow L.O.L. 1313. Meanwhile, there are also established Gentleman’s Clubs like the Stephen’s Green Hibernian Club and the Kildare Street Club on Stephen’s Green; the Arts Club on Fitzwilliam Street; the Royal Automobile Club on Dawson Street and newer, less aristocratic private members clubs like Residence and Odessa but I think they deserve their own article. There are also numerous bars in various GAA, Rugby, Cricket and Football grounds but I’ve left them out too. Great piece! While not strictly a ‘club’, there is “The Pit” downstairs in the Four Courts. The main space is open to the public but the back room is usually for the more senior members of the Bar and the odd judge! The Bar Council had a members only bar upstairs in their Church Street Building. This is closed now and a new (Law Library members only + guests) bar called “The Sheds” services the learned legal eagles in the Distillery Building on Church Street. The Law Society at Blackhall Place also has a small bar downstairs in the basement that is quite similar to the old Buttery in TCD. The Pub in the basement of the Four Courts, the Barristers’ Tea Room and the private Barristers pub on Church street also spring to mind. 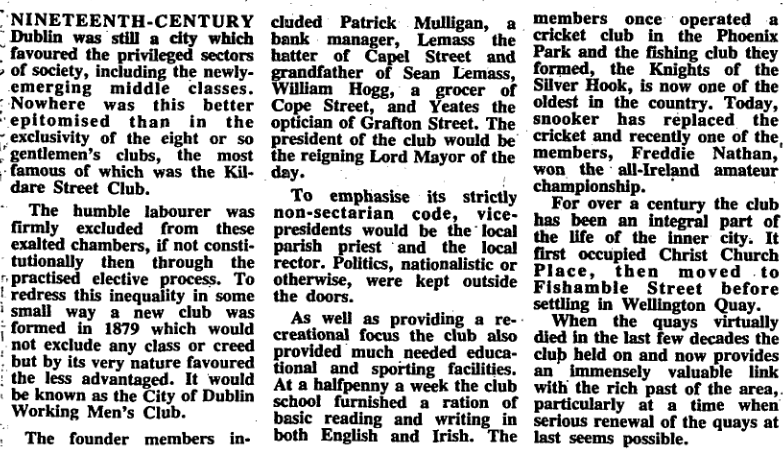 An article on the Kildare and Stephen’s Green Clubs would be great. Also the Friendly Brothers of St Patrick’s had or have a club. Does the Orange Lodge on Northumberland Road have its own bar? Any truth in the rumour about a tunnel linking Daly’s club to the old College Green parliament? Áras Chrónáin, Clondalkin! Club/cultural centre promoting every aspect of Irish culture (language, dance, & musical instrument lessons) with sessions in the bar several times a week and a ceili every Friday. Nonmembers welcome. The emphasis is on encouraging even the cúpla focal rather than making people feel guilty for not being more fluent. Incredibly friendly, down to earth place. I believe there is, or was, a pub in the IFA HQ out on the Naas Road? There was an English/British Club on an upstairs floor, around City or Sir John Rogerson’s Quay? I only went in once during the 90s during a fireworks display on the Liffey; it’s probably long gone now. The Dublin Conservative Working Men’s Club had (and maybe still has) a chaplain. I was at a school-support table quiz there about 1990, and its religious ethos was very evident. Its amazing how wrong reporting can be….there is no religious ethos or any religious imagery hanging on walls in the Dublin Conservative Club…i suggest an unannouced visit some weekend might set the records straight. The Grocers Club on Earlsfort Terrace: located in one of the white buildings on the south end of the street, on the west side. It’s gone now but it had the club name painted on the glass above the door up until at least a decade ago. I remember going there one Sunday night after I finished work in a pub/disco back in 1985. My friend and I got there at about 1.30am or so and proceeded up the old creeky stairs to the bar and watched as people played poker for fairly hefty sums in that recessionary period. We were young then and didn’t fit in with the clientele as they were mainly taxi drivers, barmen & pub owners. There was also a very nervous Englishman at cards who must have had a flush or aces over kings which held him in the place against his own common sense. As you can guess, indoors at that hour (or any time of the day), there probably wasn’t anyone who could distinguish a cabbage from broccoli. We got out of the place at the coming of summertime dawn and probably had to walk home via The Manhattan diner around the corner or The Gigs Place on Richmond Street. There is also the Irish Bankers’ Club, on Stephen’s Street, in the IBOA building. There is also the ‘Dublin City Services Sports and Social Club’ on Coldcut Road, behind the Liffey Valley Shopping Centre. It is another CIE workers’ club, for the Dublin Bus staff. 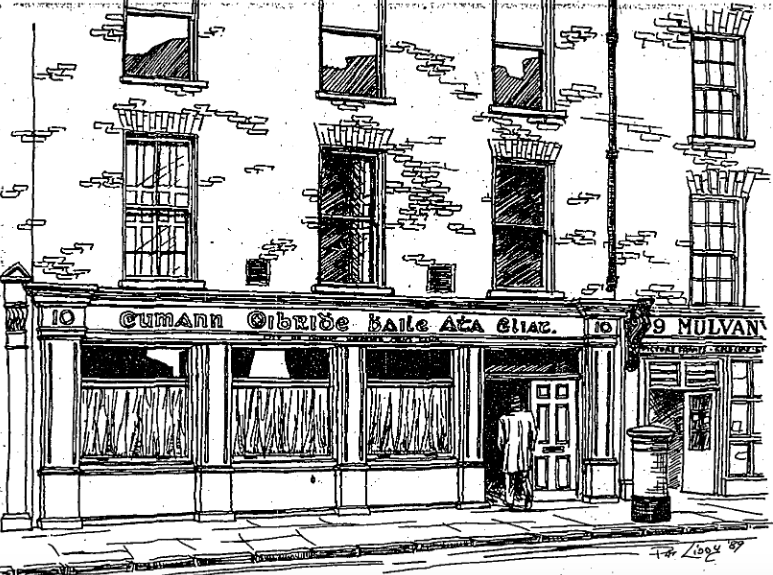 I remember a private bar called ‘The Cricketers’ (though I think the connection was to football rather than to the eponymous game) in the Synge Street/Harcourt Street area – does anyone else recall it?